Having been inspired by some of the recent articles on here, including ones by Jordan Sequillion I thought I would put a posting together on buying equipment as a newbie. The only problem is it grew longer and longer, so I thought I would do a couple of postings, so here goes. This is very much an overview and I’ll go into more details in future postings. As a coach I often get asked by students about buying a bow, how much do they cost, what should I got for, where can I get one, I’ve seen one on ebay,etc. I always reply by saying wait a few weeks or couple of months, use the club equipment for now until you have a better idea of what is a good buy. 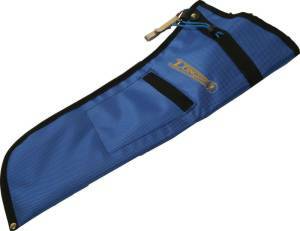 Belt quiver, you can pay a small fortune for some quivers, but when you are starting go for something simple. An arm bracer or arm guard that fits (doesn’t fall down the arm or is too tight and cuts off circulation, and they like, there are loads of different designs, some that go all the way up the arm some that only cover the forearm. What kind of bow should I buy? As a first bow the best is the take down recurve practise bow in my view. They are relatively cheap (£55-£75 depending on where you get them), so if they don’t stick with it it’s not such a huge investment. Also you might be able to pick one up from club member who has progressed. They are forgiving to use which is what you want as a beginner. They come in a vast variety of sizes, shapes, poundage so good for all abilities, heights, draw lengths etc so are easy to find one suitable for all shapes and sizes of archer. A basic beginners recurve doesn’t require as much maintenance as a longbow, compound or performance recurve. Sharon still has her first bow and we use it for coaching all the time and its over 4 years old. Arrows – for arrows I tend to recommend aluminium arrows for a beginner, they are durable and cheap. Easton Neos Beginners Alloy Arrow work well and come in variety of lengths and spines. I tend to recommend avoiding carbon arrows at this stage even though you can get them for less than aluminium. There tend not to be as durable if they catch the side of a target or branch and some clubs don’t allow beginners to use them. They are also harder to find in the undergrowth with a metal detector. Where should I buy my first bow from? NOT eBay – there is nothing wrong with eBay before anyone says anything. I simple would not advise anyone to buy their first bow off it, as you don’t know the history or condition of the bow.